Nova, a product and service brand of Curtiss-Wright Nuclear, has over 25 years of experience in the nuclear industry and has 10 years of experience as a qualified safety-related and commercial UNISTRUT® Metal Framing System stocking distributor. UNISTRUT has 80 years of experience and has become a comprehensive engineered building and support system widely used in the nuclear, industrial, and commercial construction markets. 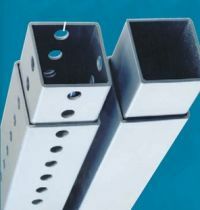 Nova has an extensive inventory of UNISTRUT offering more than 1,700 unique nuclear safety-related metal framing products in many sizes and coatings to meet the customers’ special requirements. Nova inventories various sizes, materials, and coated UNISTRUT products including channel, brackets, clamps, nuts and hardware, fittings, and inserts for any application. 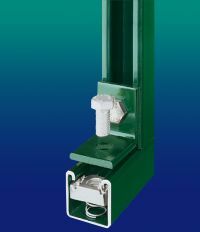 Commercial grade UNISTRUT is now available on request through the nuclear industry’s most reliable supplier, Nova Machine Products. 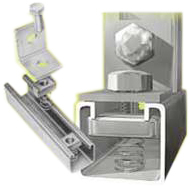 UNISTRUT framing products are supported by UNISTRUT’s manufacturing controls and Nova’s 10CFR50(B) Quality Program. Full traceability is also maintained through both Nova and UNISTRUT.